One of the stars of CES 2018, Loomo is packed with sensors that it utilizes to sense the world around it, like any good robotic friend would need to do. Loomo features an Intel RealSense camera to sense depth and track motion, a 5-microphone array to determine voice/noise direction and recognize voice commands, two infrared-distance sensors and an ultrasonic sensor for obstacle detection, as well as other touch sensors on the body. 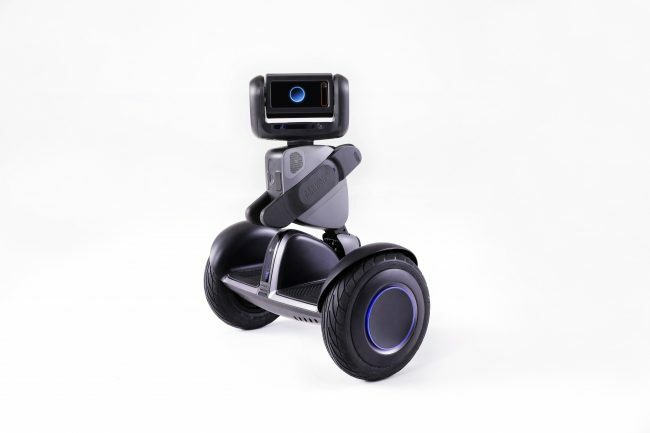 Out of the box, Loomo will be able to transport its user at 11 mph for up to 22 miles, auto-follow its user, be accessed remotely from your smartphone, cheer you up with fun expressions on its LCD face, and can be controlled via smartphone, voice control, and gesture control, and touch control. In order to get around (and get you around), Loomo incorporates the Segway Mini Plus’s latest magnesium alloy base, which includes more than 400 self-balancing points. The 11-inch anti-slip tires allow for smooth rides along with the quick response motion control system. The large motor that powers Loomo allows its passenger to travel at speeds up to 11 mph, up to a distance of 22 miles. From a software standpoint, Loomo is built on a custom Android platform. Segway offers a free SDK to allow developers to play with the features of Loomo and add additional features. Loomo will be able to learn new features as they’re released by Segway using Over-the-Air updates. Loomo also has a hardware extension bay in the rear, which will allow engineers to design and attach components to the robot. Not only is Loomo’s hardware and software impressive; the future for Loomo looks bright, as it will allow for new features that Segway could have never dreamed of, created by developers and engineers in the real world. Now’s your chance to get your new best (robotic) friend at a discounted price. 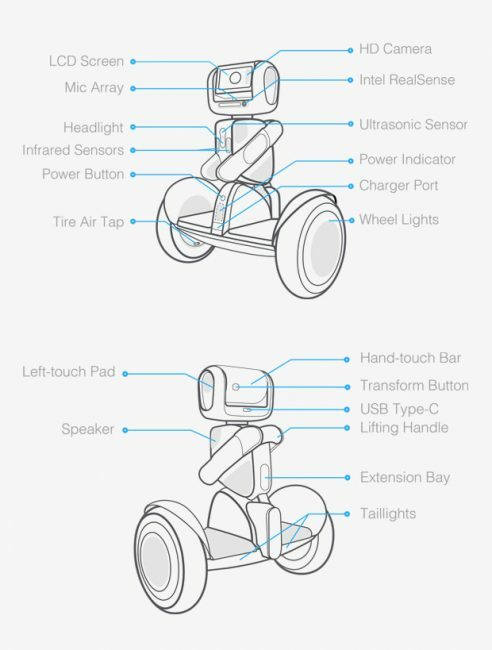 Check out the Segway Loomo on Indiegogo now for more information and to pre-order. Loomo is expected to ship to early supporters in May 2018. Stay tuned to Gear Diary for more Loomo coverage, coming soon.